With the Christmas and New Year’s Even right around the corner, many newly engaged couples will be getting engaged. A wonderful way to share the news with friends and family is to have an Engagement Party. In most cases the party is hosted by a family member or close friends. 1. Once you’re engaged, share the news with your parents. They will be just as excited and will want to welcome their new son/daughter into the family. An important part of the engagement party planning is choosing the date for your engagement party, it can be simple but tricky. You may want to hold it at least eight to ten months prior to your wedding. There will be much to do before the wedding and holding it to close to the wedding will be too stressful. There are so many choice venues for your party! It may be a simple and intimate affair at home, a special corner at your favorite restaurant or a private room at your favorite restaurant or a barbecue at the seaside. This is the opportunity for you to have fun without the stress of planning something as grand as your wedding. 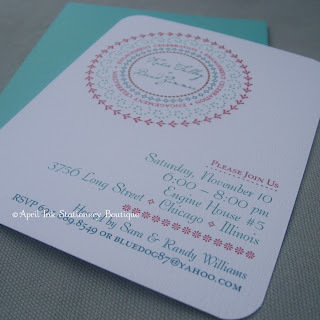 Keep in mind, the engagement party does not have to similar in style of design to the wedding. If you are planning for an outdoor engagement party, do check on the weather. Choose the outdoor barbecue or picnic area where you can gather your small party at the eleventh hour to a sheltered bar or restaurant and continue your party. Another option would be to rent a tent to cover the outdoor area. The decision to rent the tent will need to be made 5-7 days in advance due to most rental company policies. 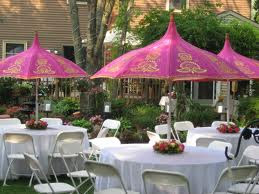 There are many components which go into creating your engagement party. One of the most important parts of an engagement party is the food. Take time to make a list of the items you will serve and always consider a caterer as you will not want to be in the kitchen cooking it yourself. Another option to consider is a pot-luck. However, it will be ideal to coordinate the items your guests will be bringing. It would be less favorable to have 4 of the same dish and no meat item. You may consider including this information on the invitation. Although this is not the wedding day, pictures do tell a thousand words and they do last a long time. Depending on your budget, you can choose to get your friends and relatives to take pictures and capture your special moments on video camera or get a professional to do both photography and video for both events (your engagement and wedding). This may also be fun to display the pictures or video at the wedding. You don’t want to wear something elaborate or similar to your wedding. Consider colors, smart casuals for beach and outdoor and evening gowns for a glamour night out. It all depends on the theme of your engagement party really. Some prefer the free and easy for all, no fuss just, focus on the happy couple. What better opportunity to take a moment to recognize those who are most important to you. You could also find a fun way to ask them with a unique gift or card or give a toast to each of them. When choosing the style and design, remember to correspond with the style of party. This is the chance to have fun and be creative without the pressure of trying to match your wedding stationary.